Is It Time to Replace Your Legacy ERP? How many years ago did you turn on your Enterprise Resource Planning system? How drastically has your business changed since then? And how fast is the resulting gap growing between what your ERP system can actually do, and what you need it to do? Download this quick, useful read today! 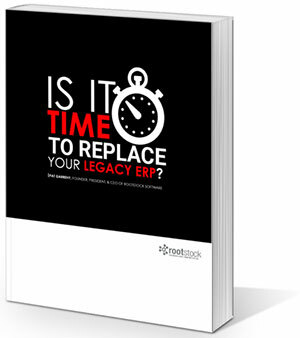 Fill out the form to download "Is it Time to Replace Your Legacy ERP?"